We see it in the news every day: the death toll due to opioid overdose continues to climb. The national opioid crisis is widespread and complex, and the solution will require a widespread and complex response. But each and every one of us has the power to make a difference — and it starts with learning and spreading information so we can all understand the problem. That’s why we’re focusing on the opioid epidemic for Be the Difference this month. Join our chat. On Thursday, February 22 from 2-3 p.m. ET, we’re talking about the opioid epidemic, its impact and what we can all do to help during our #BeTheDifference Twitter chat. To join, follow @MHFirstAidUSA and use the hashtag #BeTheDifference in your responses. Read up! All month long, we’ll be posting stories and information about the opioid epidemic on our Be the Difference blog. Stay up to date and share them with your networks! Spread information. Share this infographic on the impact of the opioid epidemic on social media to keep your communities in the know. Share your story. 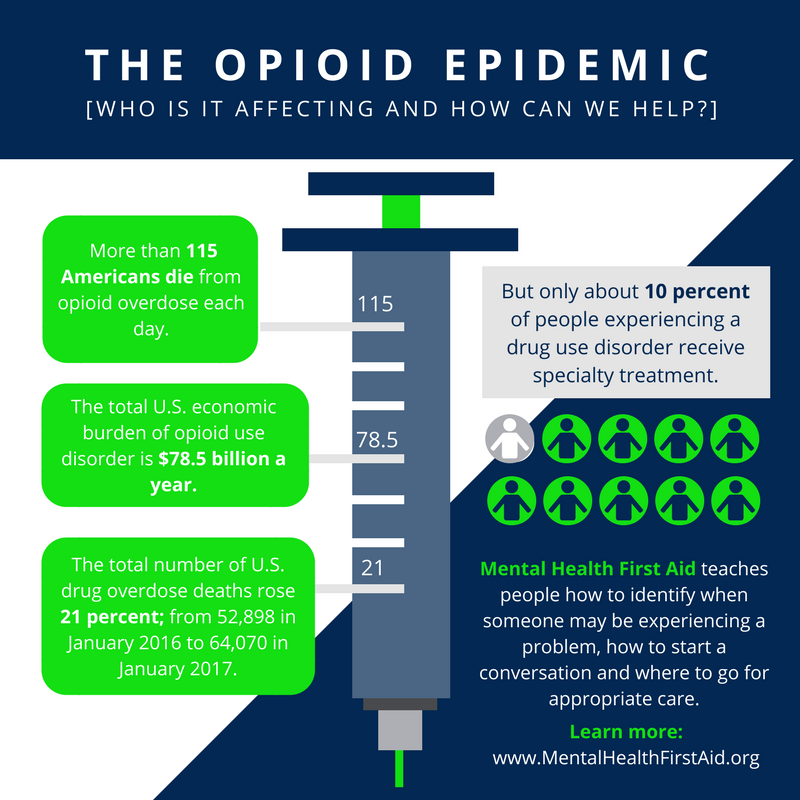 Have you or someone you know been impacted by the opioid crisis? Email Erica Hoffman at EricaH@TheNationalCouncil.org for a chance to be featured on our blog. Thanks for continuing to make a difference with Mental Health First Aid!